Hey, sorry, stepped out for a chat at the front gate and, well, I sort of got caught up in a fine conversation, and lost track of time. But it was worth it, because I gained a bit more insight into fences and gates and entrances, like the one I a making right now! For starters, I moved six months ago, and now am faced with building some fence and adding both a people gate and a driveway gate. It will occur over the coming months alongside another project that includes some landscaping as well. And as it unfolds, I will be posting updates, photos, design issues, and more! 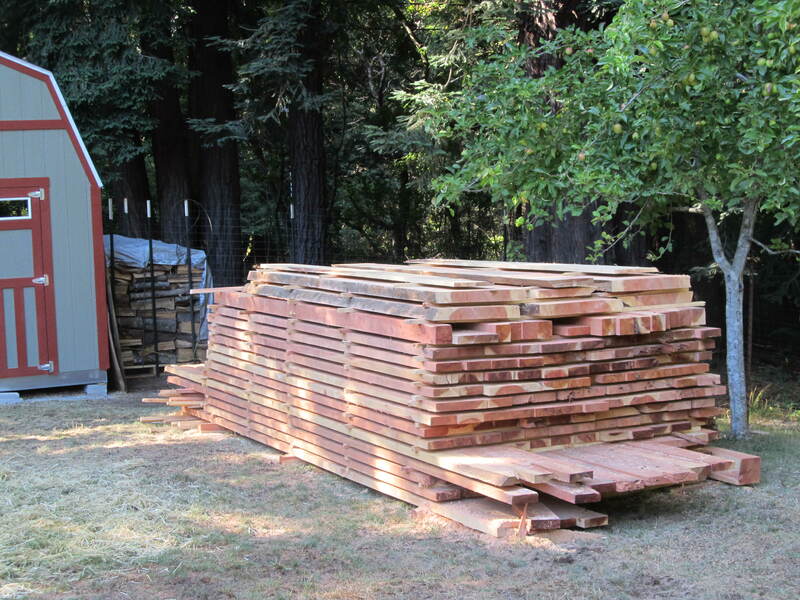 The first news however is I will be using – for the fence and people gate, redwood planking milled from a couple of my own trees! Don’t worry, we have lots more, and are using even the mulched scraps for the landscaping project. So stick around, drop by and watch the unfolding of this new feature, And if you have an interesting gate project, or have seen something out there worth sharing here, please do! I won’t be gone so long this time!